Belkin's ridiculously-named dongle does one thing: it lets you simultaneously charge your iPhone 7 or iPhone 7 Plus and listen to music. If you want to rock out and power up at the same time, Belkin's Lightning Audio + Charge RockStar makes it possible. 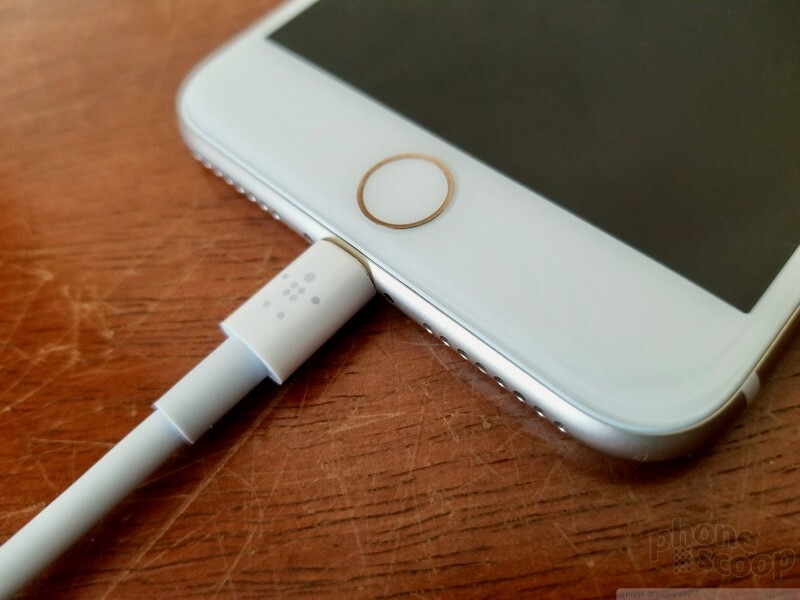 Apple introduced a lot of headaches for people when it dropped the industry standard 3.5mm headphone jack in favor of Lightning-based digital audio with the iPhone 7. 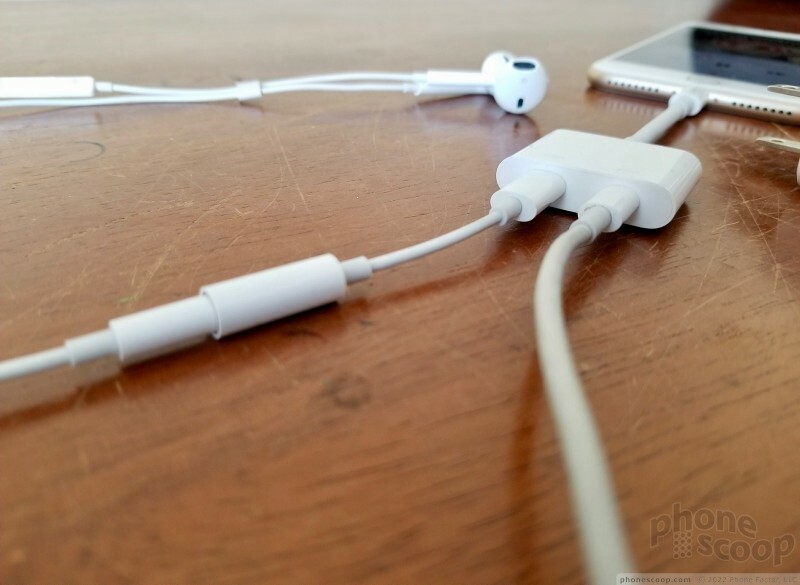 Without the headphone jack, people can't use standard wired headphones without an adapter. Apple gave everyone just such an adapter in the box for free, but it's a hassle to use and easy to lose. 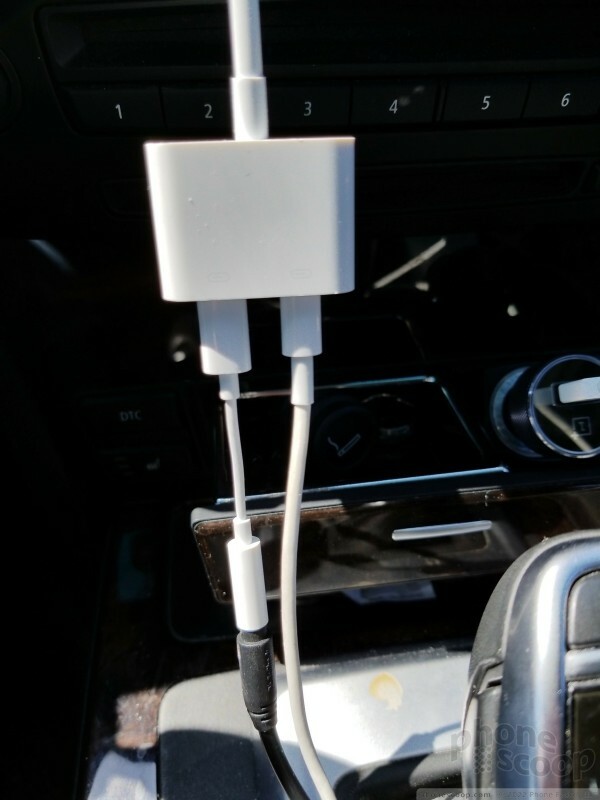 Even if you manage to keep track of the dongle, using it conjures up a new problem for iPhone owners: you can't listen to music using wired headphones via the Lightning port and charge your phone at the same time. Every iPhone since 2007 has allowed people to plug in headphones and the charging cable. Not so the iPhone 7. 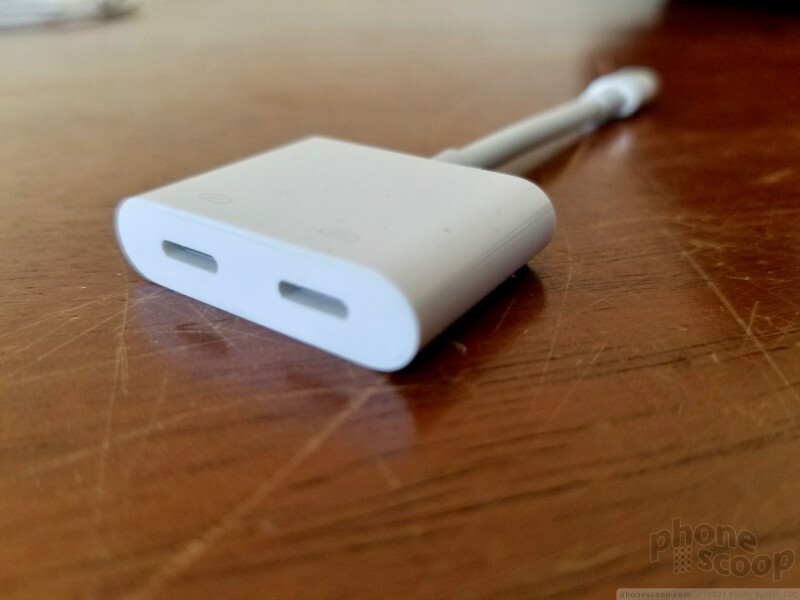 The Lightning port now handles charging, data sync, and audio output. People who rely on wired headphones, or other 3.5mm wired accessories, are left in a bit of a bind. They must choose to either listen to music, or charge their device — the iPhone 7 doesn't facilitate both at the same time. This situation is particularly frustrating when driving. If you want both power and music, the Belkin Lightning Audio + Charge RockStar is here to help. 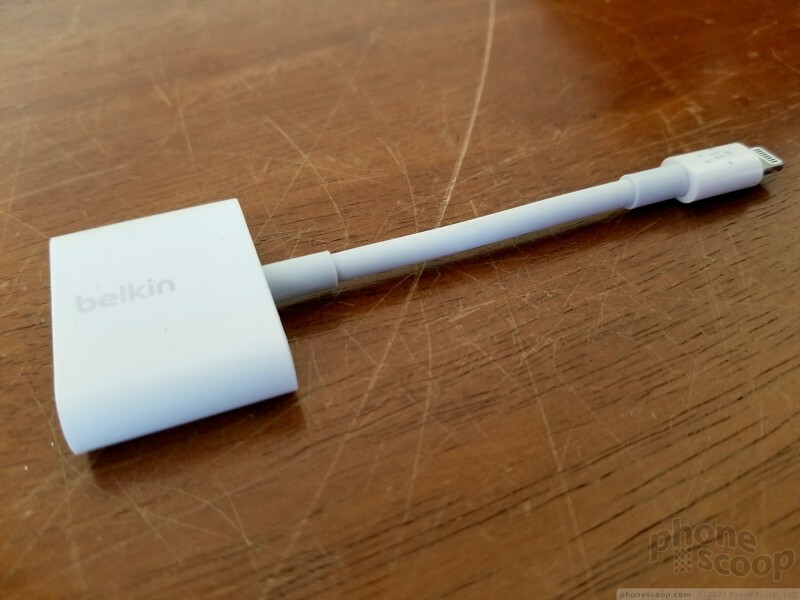 Belkin's dongle is basically a Lightning splitter, giving your phone two Lightning ports. 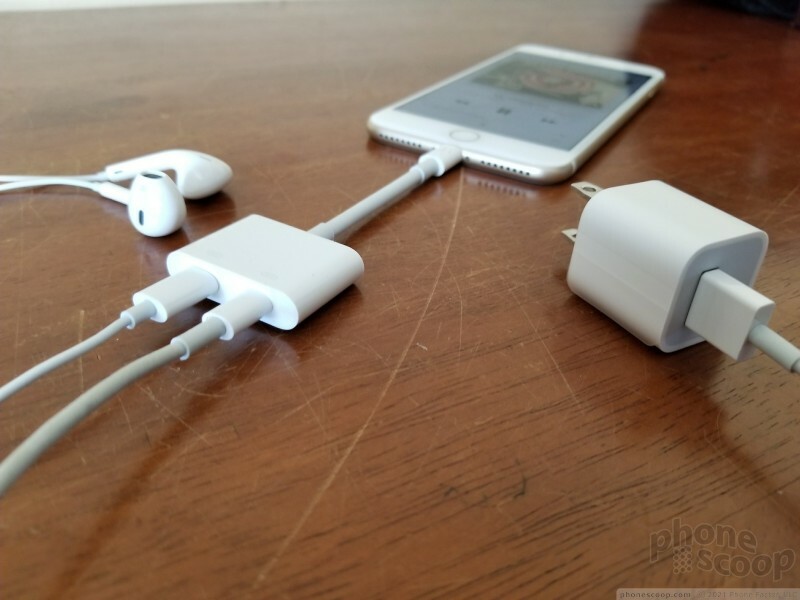 Plug the male connector into your iPhone 7 and you can then attach two Lightning cables into the dongle below. 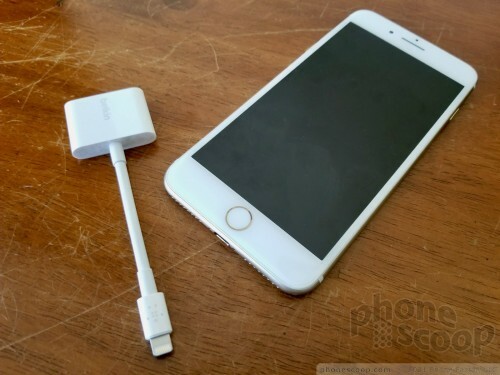 Use one for power, and the other for Apple's Lightning-to-3.5mm adapter (or Apple Lightning headphones). The male portion of the dongle is sturdy and reinforced where it meets the cable. I like this. 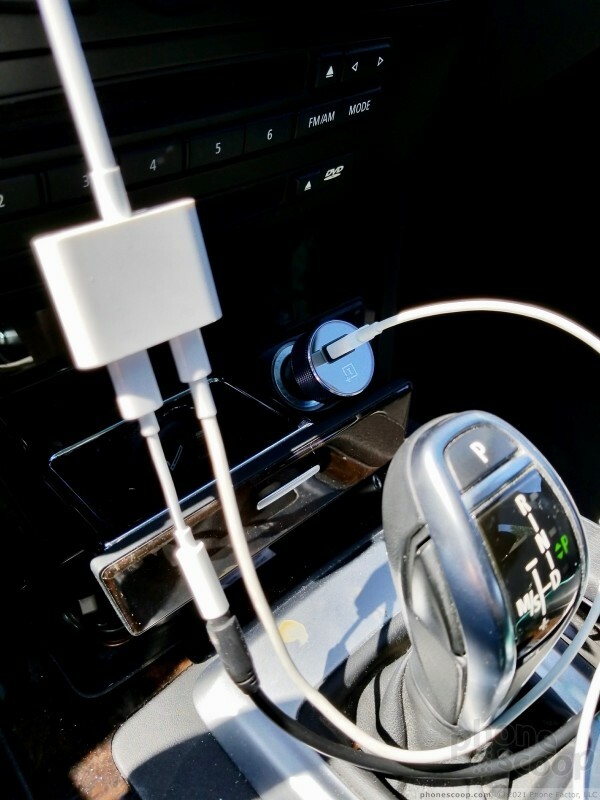 Too many Lightning cables are flimsy. It may be too chunky for some cases, but it worked with several cases I have on hand. The cable itself is a bit stiff and only about three inches long. 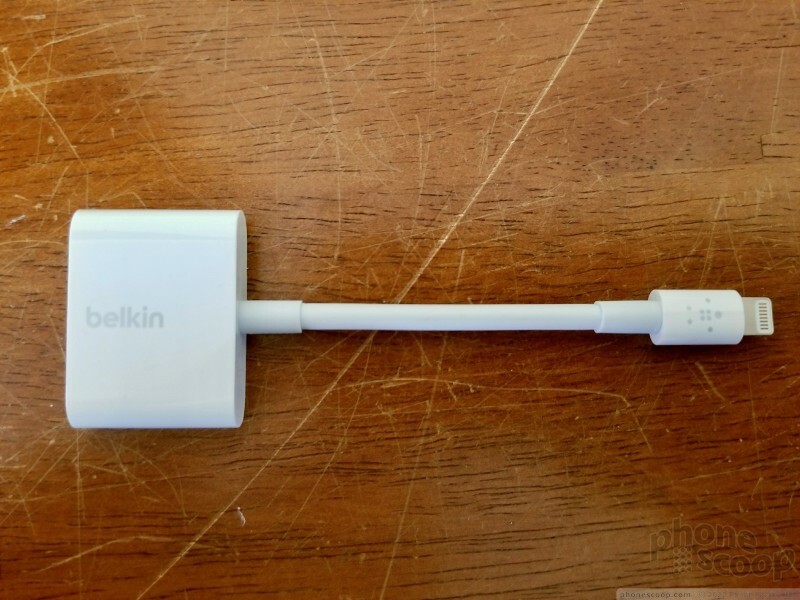 Belkin reinforced the cable where it joins the lower module to protect it. The dual-Lightning module is a solid piece of white plastic. It's 1 inch tall, 1.4 inches wide, and 0.35 inches (9mm) thick. 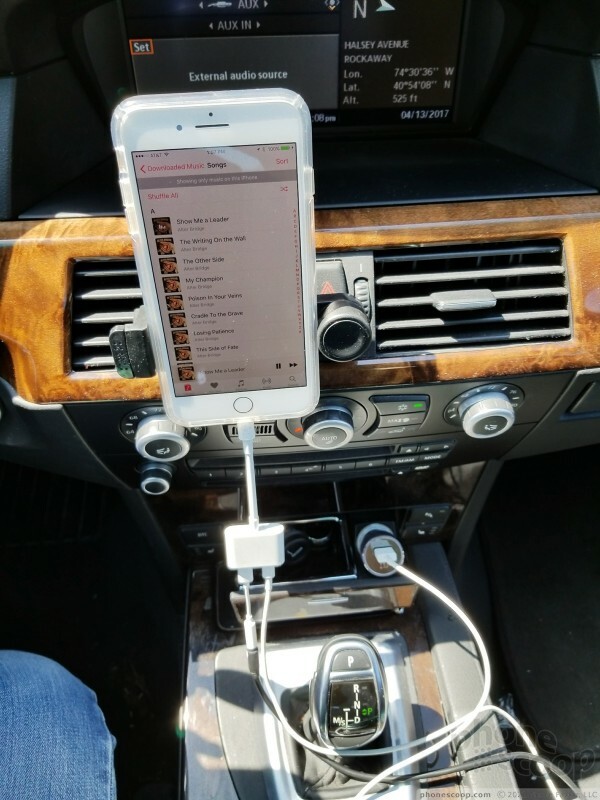 It's a sturdy dongle that does exactly what it should. The Belkin Lightning Audio + Charge RockStar has some interesting limitations. 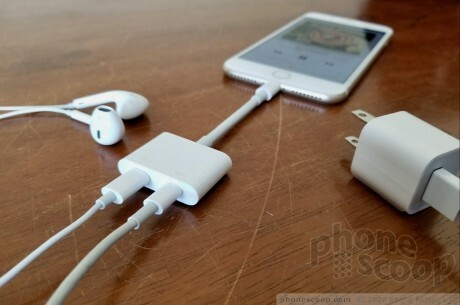 First, it works with the Apple-made 3.5mm adapter and the Apple-made Lightning headphones. It supports the remote control functions and microphone of the Lightning Audio headphones for music and calls. It's compatible with the iPhone and iPad, and even supports the Apple iPhone 7 Smart Battery Case. The RockStar only supports Lightning Audio and Lightning power transfer: it does not support syncing or any other USB data transfer. You can't daisy chain it with your Mac to sync files. On the music side of the equation, the RockStar supports up to 48 kHz, 24-bit audio output. That's good. There are lots of variables at play here, so your actual mileage in terms of playback quality will vary. 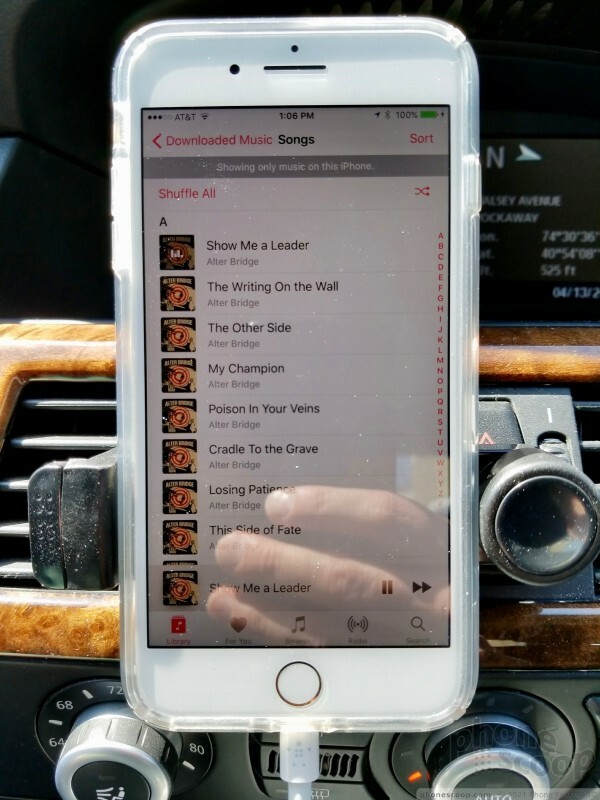 In the simplest terms, the RockStar let me connect my iPhone 7 to the wired headphones of my choice and the 3.5mm auxiliary input of my car to play music. Music passed through the RockStar sounded great through my best wired headphones and the high-end music system in my car. 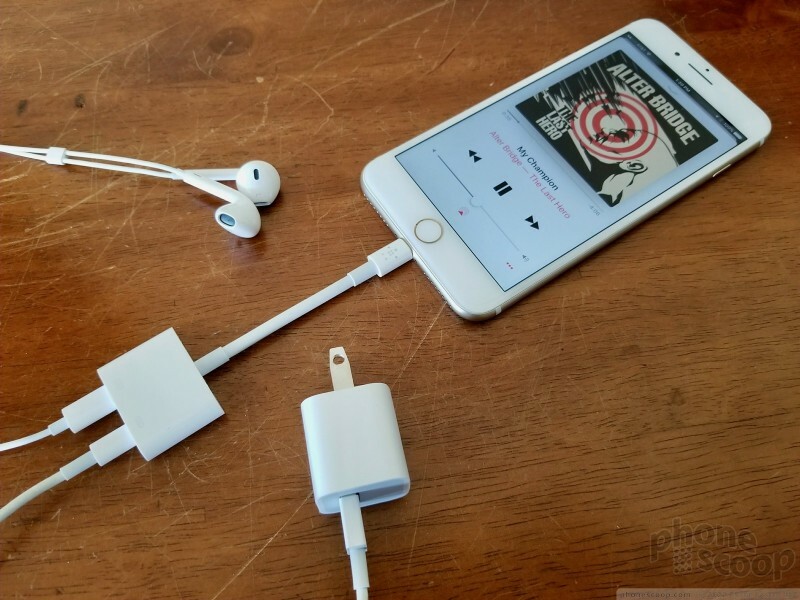 I couldn't discern any appreciable difference in music quality when using the RockStar dongle with the iPhone or using just the Apple 3.5mm Lightning adapter. As for power, the RockStar supports 12W pass-through from whatever source is on hand. It can handle the maximum charging speed available to the iPhone, but your actual results will be dependent on what you plug it into. I found a few niggles. I tested the RockStar over the course of about a month. 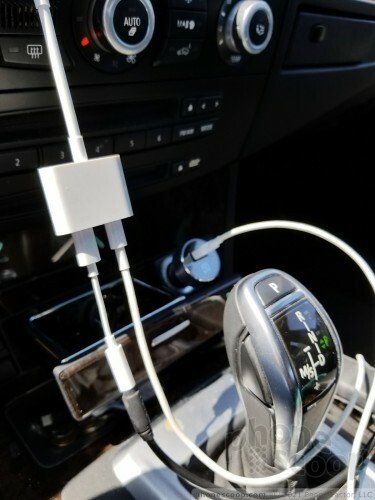 The dongle worked perfectly for the first few weeks. Then, Apple released iOS 10.3 and music functionality dropped completely. Thankfully, iOS 10.3.1 brought music functionality back. In the interim, the RockStar was effectively dead. It's worrisome to me that a routine system update from Apple may kill the functionality of such an accessory. Near the end of my review period, I noticed that jostling the cable a bit could sometimes freeze music playback. Unplugging and re-plugging wasn't enough to fix it. I had to unplug the dongle, close the music app, plug the dongle back in, and restart the music app. This is super annoying. More to the point, this is a distracting and dangerous dance to perform in a moving car. When you consider how frequently things bounce around inside a car, the potential for this disconnect to occur is high and I ran into it often enough to bum me out. 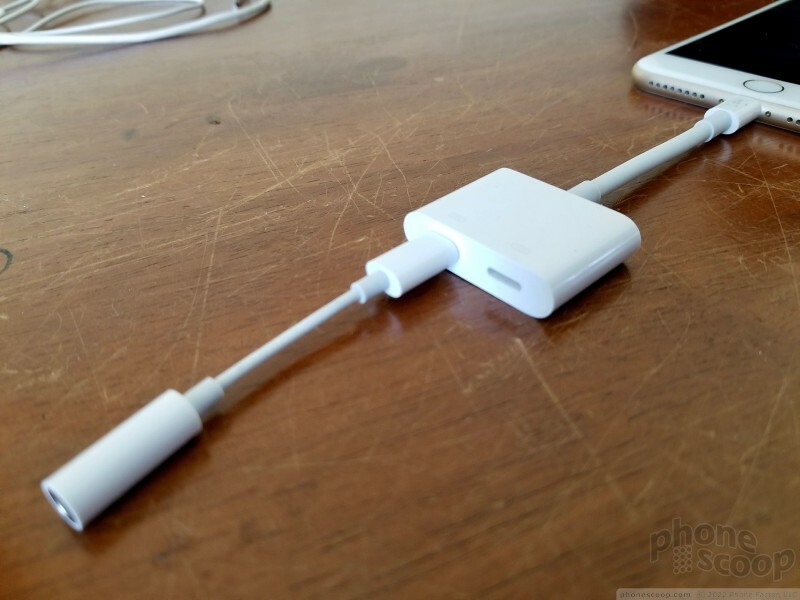 I didn't really run into this issue if the iPhone-dongle-headphone array was resting on a desk or table. Belkin conjured up the RockStar to solve a headache faced by people who prefer wired headphones or make use of wired accessories, such as speakers or the 3.5mm auxiliary input found in older cars. The RockStar dongle costs $40. It works, but inconsistently. 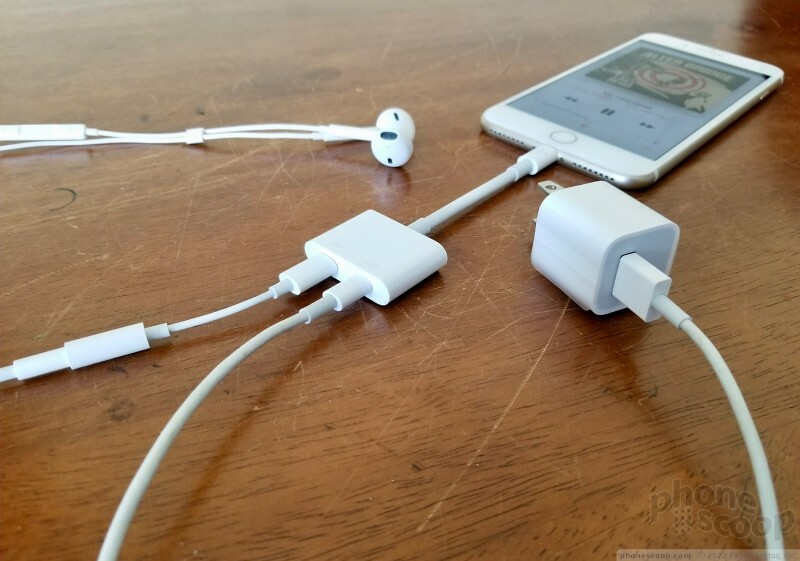 The dongle lets you charge your iPhone while also listening to music via the Lightning port and nothing more. I wish it weren't prone to software breakage and annoying drop-outs. These are near deal breakers. Summer is here, which means it's time to go on vacation! Whether you prefer to make day trips to local points of interest, or plan far-flung adventures that span the globe, you're going to want your trusty smartphone by your side. Apple debuted iOS 11 during the June 5 keynote of its annual developer conference. The refreshed mobile operating system is primed to hit iPhones and iPads later this year with improvements to the App Store, Apple Maps, the camera, Control Center, Files, keyboard, iMessage, Live Photos, Siri, screenshots, and much more. Miggo showed off its Pictar camera grip at IFA in Berlin this week. 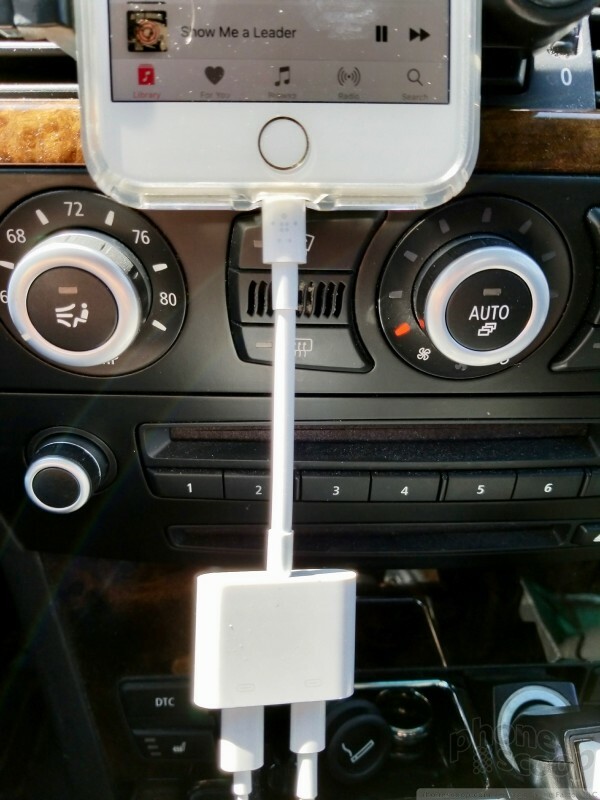 This accessory works with just about every iPhone from the iPhone 4 through the iPhone 7 Plus. Apple today updated its Clips mobile video application with characters from Disney movies and new graphic overlays and posters. Apple says several classic Disney characters, such as Mickey, Minnie, Donald and Daisy, can be added to videos complete with animations. Apple today released iOS 11 Public Beta 5 to those testing the platform, mere hours after the company made the developer version available. iOS 11 targets the iPad more than the iPhone, but both devices gain expanded Control Center tools, a refreshed App Store, new camera features, Siri improvements, as well as updates to iMessage, the Keyboard, files, and more.